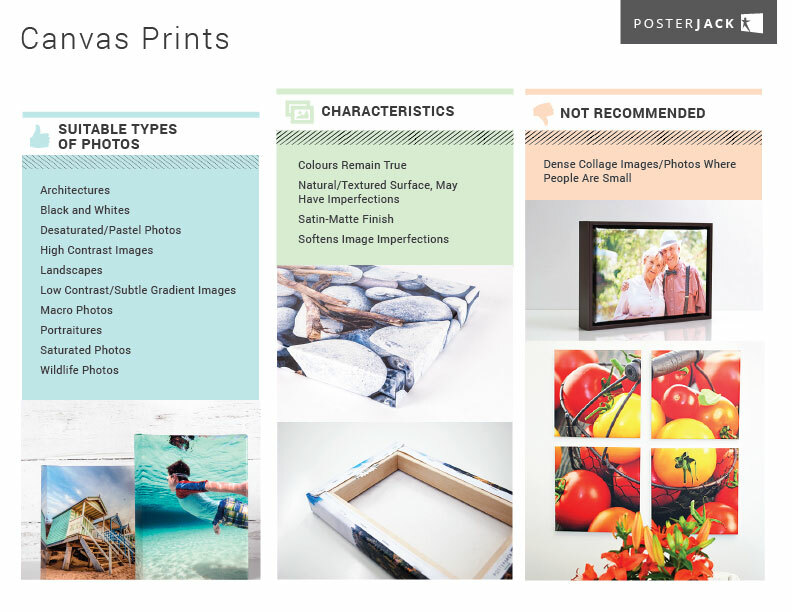 Posterjack Canvas Prints are a fan favourite and not just because they’re a premium quality product. With the exception of photos where people are very small, any type of photo you have will look fantastic printed on canvas. Your photo will be printed on a textured, authentic canvas weave and colours will remain true. A Posterjack Canvas Print has a satin-matte finish and image imperfections will be softened.